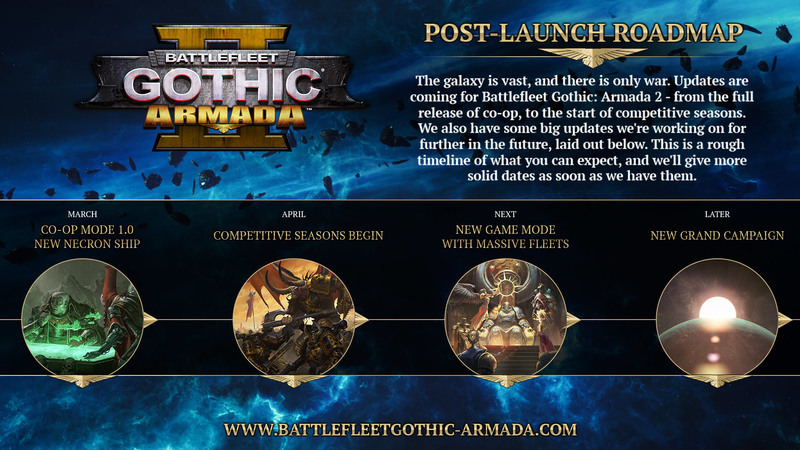 And we’re only getting started - we’re very excited to announce our Post-Launch Roadmap! 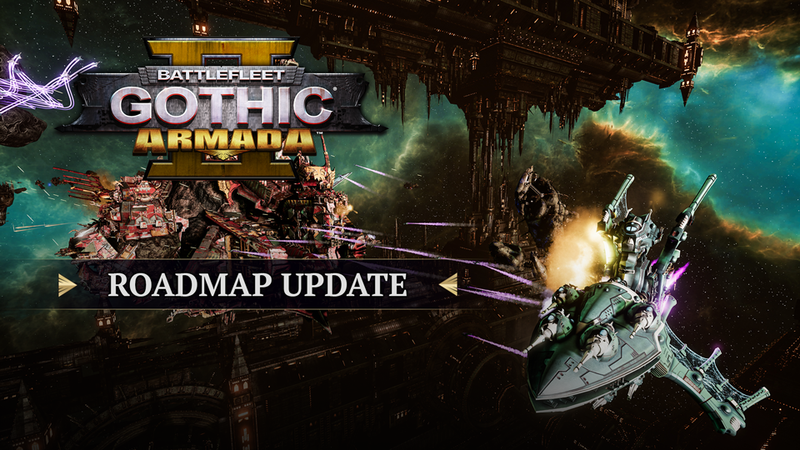 With your continued support, we look forward to releasing more content, starting in the end of March with the completion of the co-op mode, new variants to Necron ships, and a brand new Necron ship that will breathe terror into even the most battle-hardened admiral. In April, we will release our Competitive System, allowing all you admirals to compete for the glory of being the best, as well as other rewards. Keep an eye out for more details to come! Next will be our new game mode with truly gigantic fleets, including the Titan ships, for unbridled chaos. And finally, our new Grand Campaign will be unveiled. Thank you once again for your support, feedback, and passion. Я не смог поиграть в игру с монитором 21 на 9. Сначала это бы исправили. Id like campaigns for the remaining factions Ynari / tau / orcs / chaos if possible. Yeah, campaigns for the Eldar, Dark Eldar and Orks would be nice in the future. A randomised conquest style mode would be a good idea like what Griffox said. Kind of like the Galactic Conquest from the original Starwars Battlefront II with single player and multiplayer. Not nit picking, you guys did an amazing job making an actual sequal vs $60 dlc content like lots of other games are doing recently. we need a mod style campaign where you choose the race, who wants to play and fight to win the universe with the 10 races fighting each other, preferably generated randomly and if you have coperativo so the game will last longer. I'm waiting for a decent eldar campaign in any W40K game, would be nice to have one here. @FOXXOF This game launched with 3 campaigns, it was only the beta that did not have them. If you get it now you will have them.